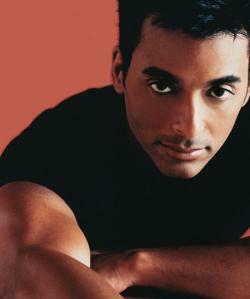 Jon Secada (born Juan Francisco Secada Ramirez; October 4, 1961) is a Cuban American singer and songwriter. Secada was born in Havana, Cuba, and raised in Hialeah, Florida. He has won two Grammy Awardsand sold 20 million albums since his English-language debut album in 1992. His music fuses funk, soul, pop and Latin percussion. Secada also has worked as a songwriter for Gloria Estefan, Jennifer Lopez, Ricky Martin,Mandy Moore and other performers.